​Do you know a volunteer who makes an outstanding contribution to our community? You can recognise their amazing work by nominating them for the 2019 South Australian Volunteer Awards. South Australia has one of the most dedicated volunteering communities in the country, with more than 905,000 South Australians giving their time to volunteering. The Joy Nobel Medal is the highest award for individual volunteers and recognises the outstanding service and contribution of a volunteer to our local community. Andamooka Community Project Award – recognising volunteer projects that have significant community benefit. 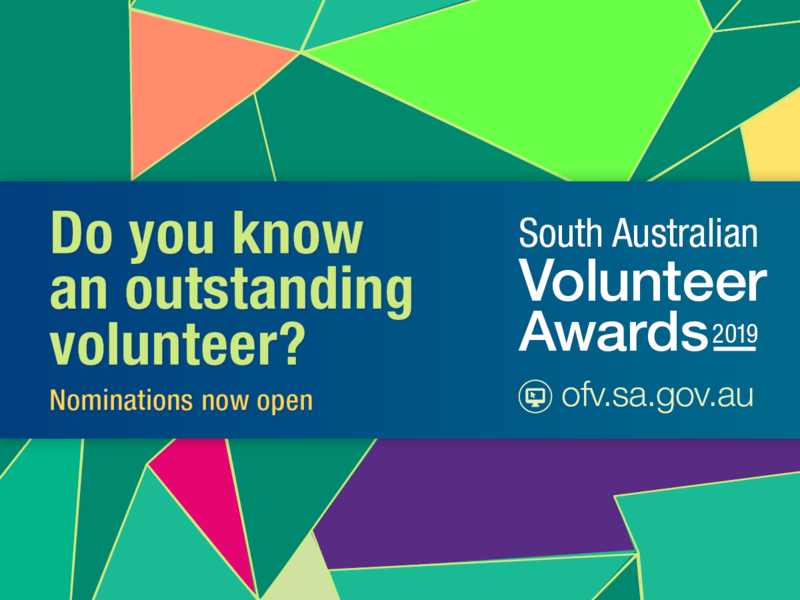 Nominations for the 2019 South Australian Volunteer Awards close 5pm Friday 26 April 2019. For information about the awards, including the eligibility criteria and online nomination forms, visit the website.